“Just Don’t Speed” if you don’t want a ticket, right? It is not that simple – and it’s the core reason WiseUpWinnipeg exists with more than 12,000 members and growing by the day. We encourage everyone to research and learn how things really work and what is really happening. and with a focus on the efficient flow of traffic and safety. The massive majority of ticket recipients are as surprised as anyone when they get a ticket (or two or three weeks later) in the mail. These are mostly inadvertent, unintentional violations resulting from traffic engineering inadequacies unique to the City of Winnipeg. Winnipeg does not consistently set speed limits to the 85th percentile of free-flow speed of traffic that the road is designed for, despite claiming otherwise. 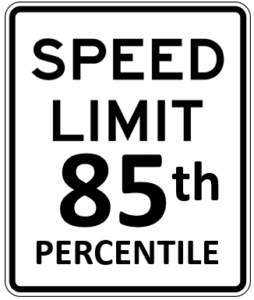 The 85th percentile engineering standard for speed setting is an internationally accepted methodology for safe and prudent speed allocation with efficient traffic flow and safety in mind. The City has chosen to focus their enforcement to the specific stretches that should properly be higher. Grant Avenue is just one example – which they know to have an 85th speed of 65kph – yet they lowered it to 50kph by political interference and have been aggressively enforcing ever since. The vast majority of their “catch” are tickets for 63kph – in effect being within the the speed limit engineering standard. is actually a violation in this type of scenario. That is, one who travels at a speed that fundamental engineering principles determine is a safe and prudent speed, would get a ticket. Not because of operating at a dangerous speed, but because of a political influence and defiance to generally accepted engineering standards. The influence is imposed for political gain, pandering to vocal minorities, and/or to create an opportunity to create an unnatural regulation for the generation of revenue. would result in approximate 95% reduction in “violations”. Such a criterion recognises that the majority of motorists operate their vehicle in a reasonable and prudent manner with due consideration for conditions encountered, including activity into and out of intersecting public streets and approaches as well as the presence of pedestrians and bicyclists on or near the roadway. and refusing to take responsibility for one’s actions. when speed limits are raised or lowered, there is very little impact on motorists’ actual speeds. Safe, “credible speed limits” can be expected to enhance motorists’ compliance to the speed limit, which in turn can result in a reduction in collisions than would otherwise be the case. that they perceive to be realistic. it will challenge the public’s trust in the speed limit system generally. as being too low or as being too high. The net effect of incredible speed limits is that motorists will increasingly disregard that and consequently with frequent incredible limits, motorists will begin more and more disregarding road rules and regulations. If it is noticed that drivers are disregarding speed and other regulations, it is often a symptom of the application of improper traffic engineering. Bad engineering propagates bad driving. 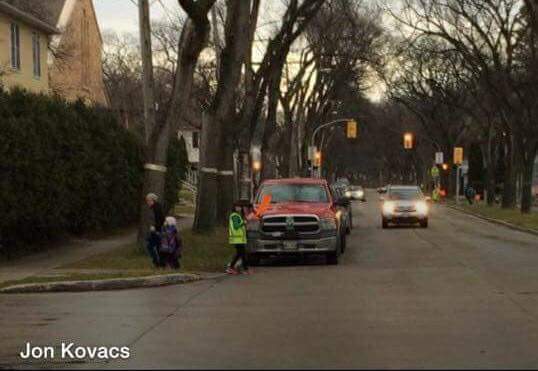 Do you think Winnipeg has a lot of bad drivers? It is likely a engineering problem firstly. Additionally, Winnipeg does not dual-sign speed reductions, like other cities do and in accordance with Canadian National Standards as outlined in (MUTCDC) Manual for Uniform Traffic Control Devices in Canada. Posting the speed limits and drop in speed advance notification signage on both sides of the road (dual signage on multi lane roadways) provides motorists awareness of the limit, and/or that they are approaching a reduction in the speed limit. Maximum visibility facilitates better awareness/compliance. The City of Winnipeg fails to dual sign these speed reductions, or speed limits and the City of Winnipeg almost exclusively targets enforcement immediately following a speed drop. Signage is often a single sign, often too far and too high on the right side and very often lost in the clammer of other signage. If there was an actual safety concern for speeding in these specific stretches then the city would adhere to the traffic engineering standards adhered to by other cities, rather than advantage their on, knwn, profitable deficiencies. In 2013 the city elected to remove over 200 speed signs, saying that they were removed to prevent driver confusion over speed limits. We feel more and better signage is better for compliance, flow and safety, but worse for ticket and revenue generation. What are the goals? Finally, if these issues are not bad enough – Manitoba has implemented traffic fines 250% higher than the average of all other provinces in Canada. All combined – there is no surprise why an unprecedented and growing number of citizens are fighting back with Not Guilty pleas resulting in extreme court backlogs, that are viewed to be in violation of 11b Canadian Charter of Rights for a reasonably speedy day in traffic court. Photo radar/lidar enforcement often park illegally, or in precarious locations. How can this be viewed as “for safety”?